Rest in peace, Mr. Nakamura. 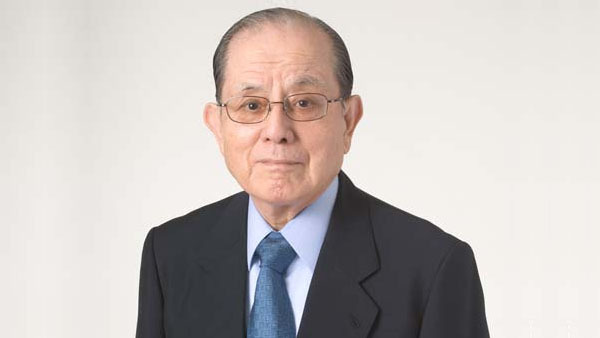 Masaya Nakamura, who founded Namco in 1955, passed away on Sunday, January 22 at the age of 91, Bandai Namco announced. At the request of the deceased, Nakamura’s wake and funeral were held with close relatives, and the news of his death was withheld until after the services. A “Farewell Gathering” to remember Nakamura is planned for a later date. Nakamura was born on December 24, 1925. He graduated from Yokohama National University in 1948 and established Nakamura Manufacturing in 1955 (now known as Bandai Namco Entertainment), which was renamed Namco in 1977. He became the president of Namco in 2002, and then senior advisor of Bandai Namco Holdings in 2005. In 2006, he became president of Bandai Namco Games (then known as Namco) and the newly-established Namco, before becoming honorary advisor of Bandai Namco Games (now known as Bandai Namco Entertainment) and Namco two months later. Nakamura was also an honorary member of the Tokyo Chamber of Commerce and Industry, as well as a senior advisor to the Japan Amusement Machine and Marketing Association. Our sincerest sympathies go out to Mr. Nakamura’s family.